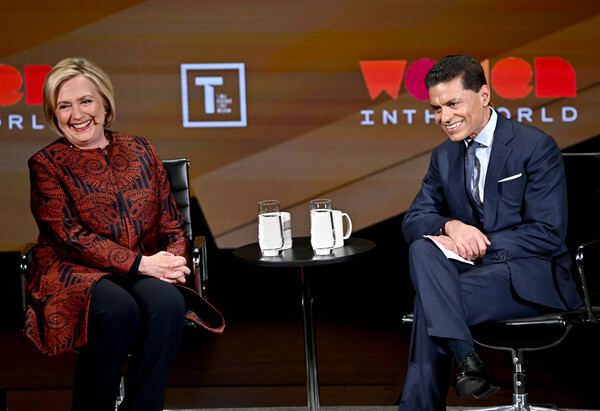 Hillary led a panel discussion today. 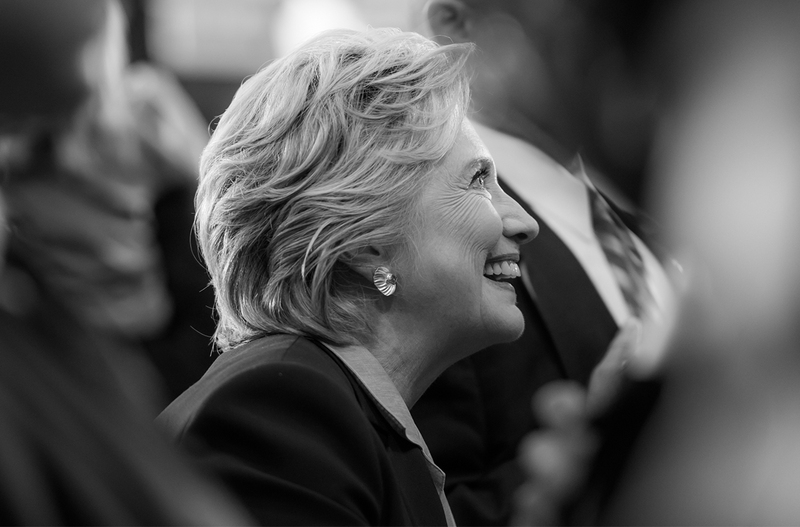 Look for her around the 2 hour 20 minute mark. 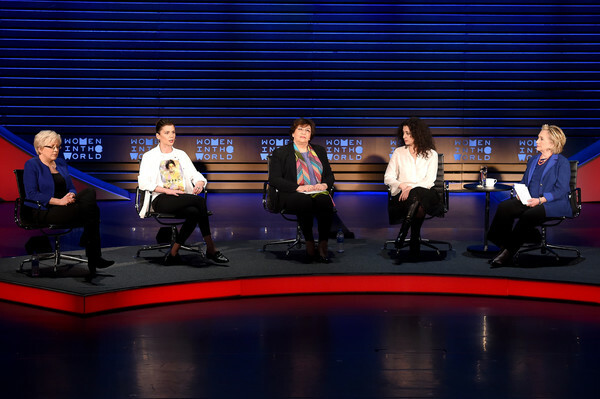 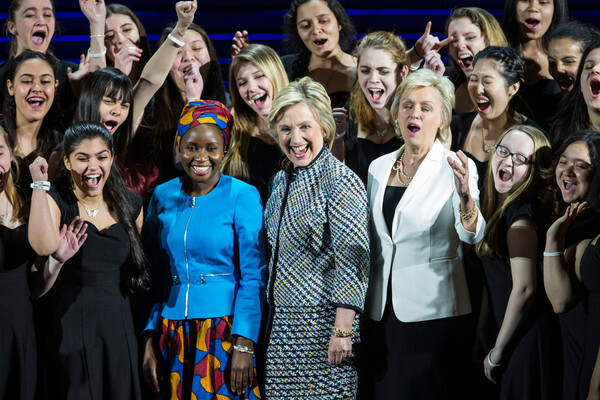 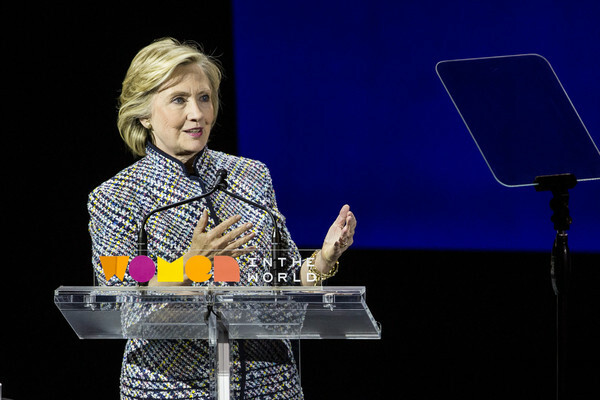 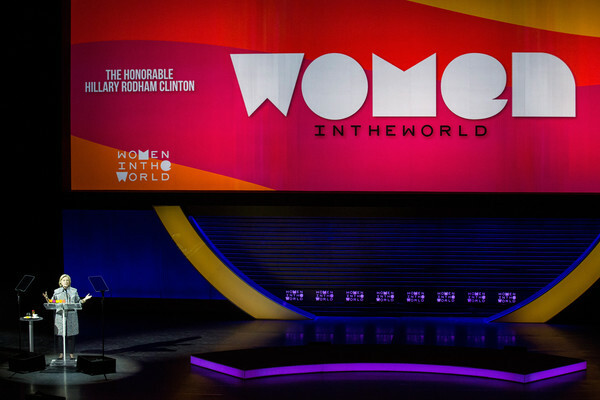 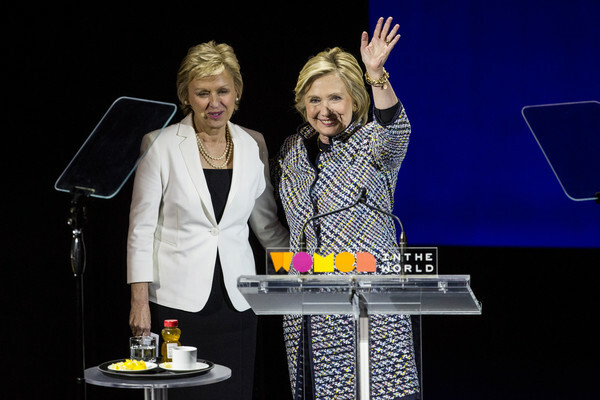 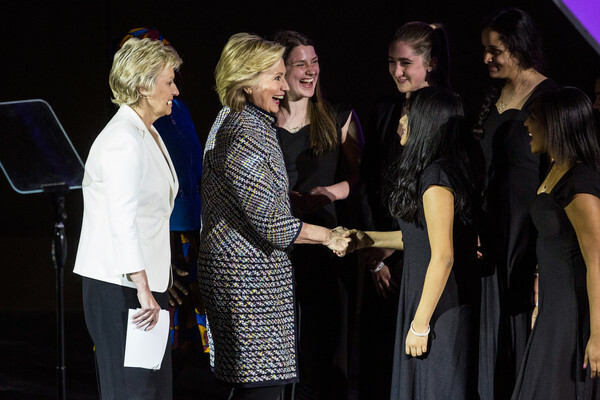 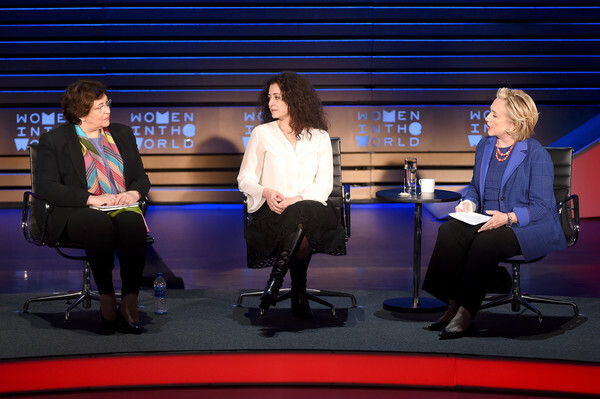 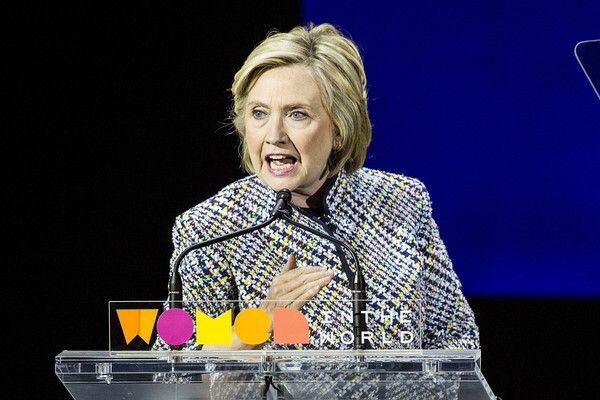 The ninth annual Women in the World Summit will take place April 12-14, 2018 at the David H. Koch Theater at Lincoln Center in New York City. 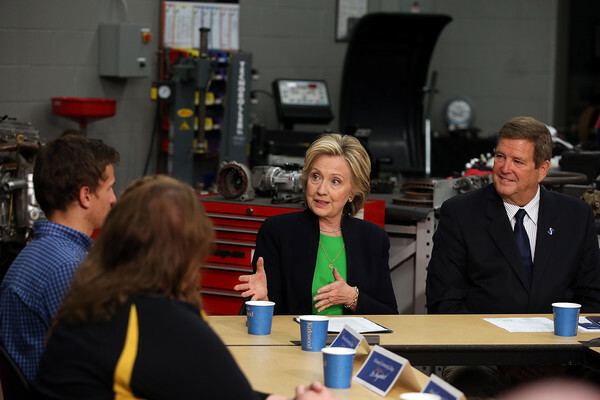 The event is presented and co-hosted by Toyota. 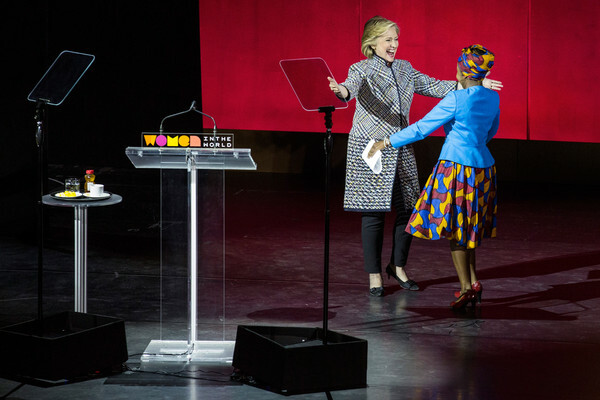 Watch videos from the entire 2017 Summit above. 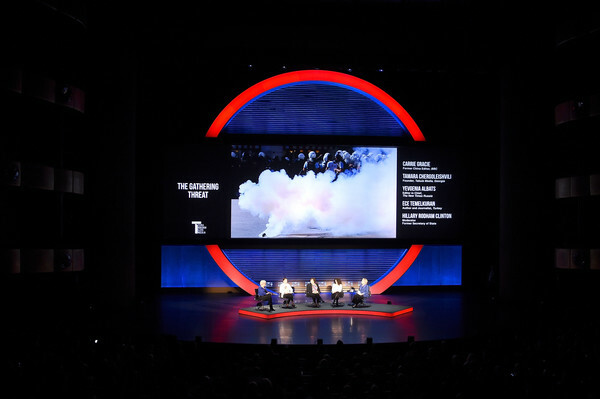 The 2018 Summit is generously supported by presenting sponsor Toyota; leadership sponsors AT&T, The Boston Consulting Group, Mastercard, P&G and UBS; supporting sponsor Thomson Reuters; and media sponsor The New York Times. 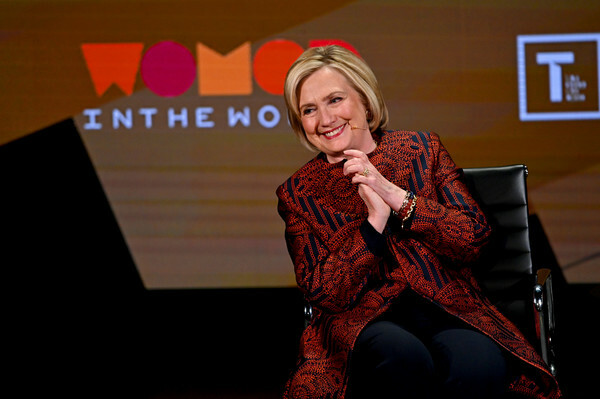 Hillary announced via Twitter (she had been tweeting energetically for months), a revived HillaryClinton.com website, and a Youtube video that played on network and cable TV as the suspense finally lifted. 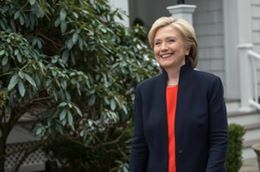 She also revived her Facebook account. 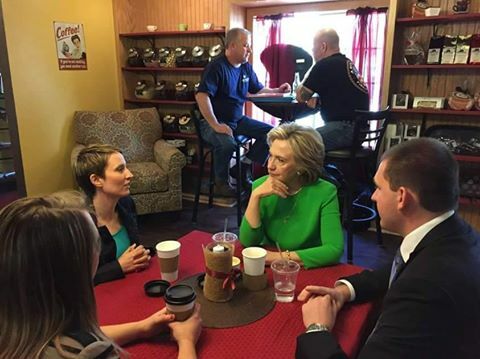 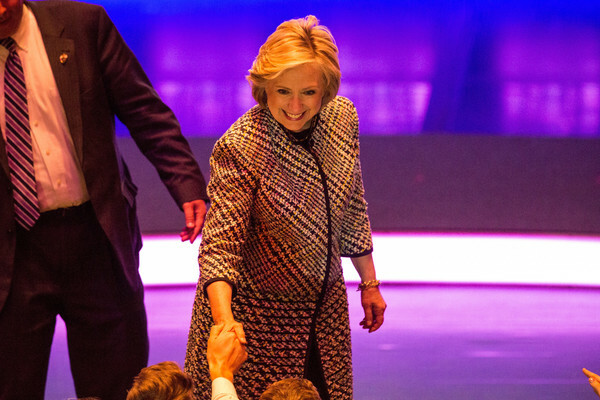 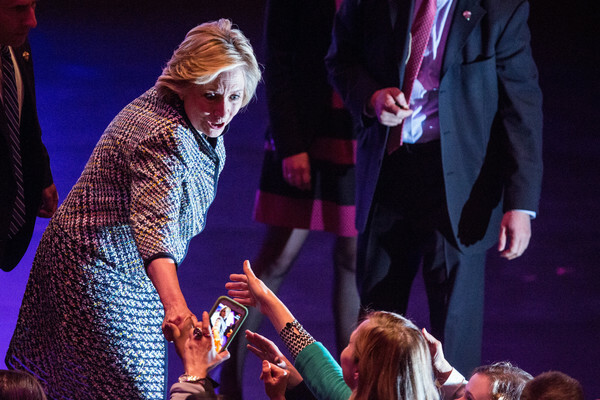 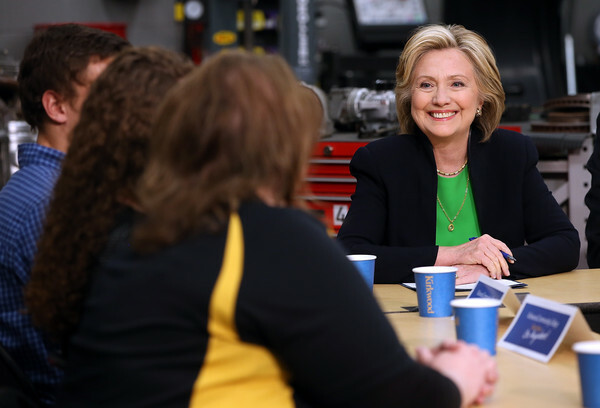 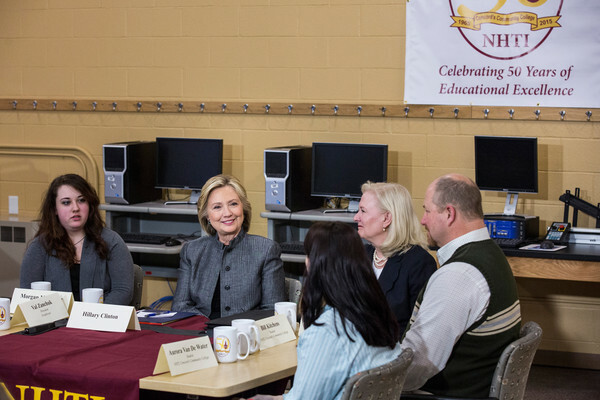 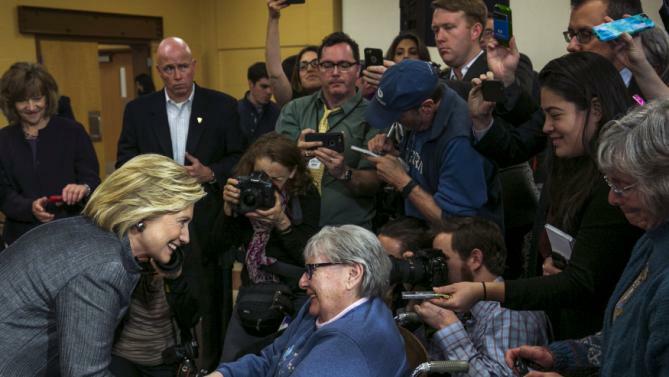 In Iowa, she took advantage of every opportunity to meet people. 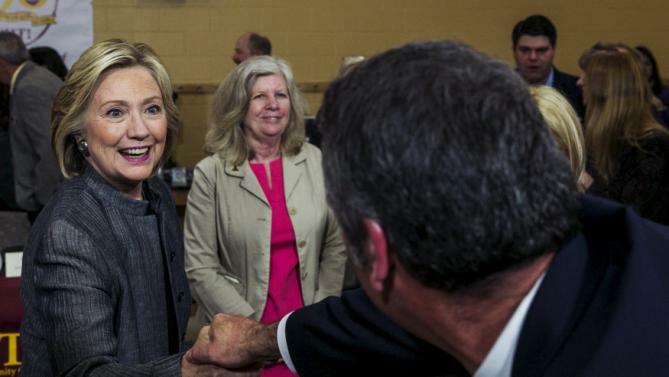 Iowans greeted her enthusiastically. 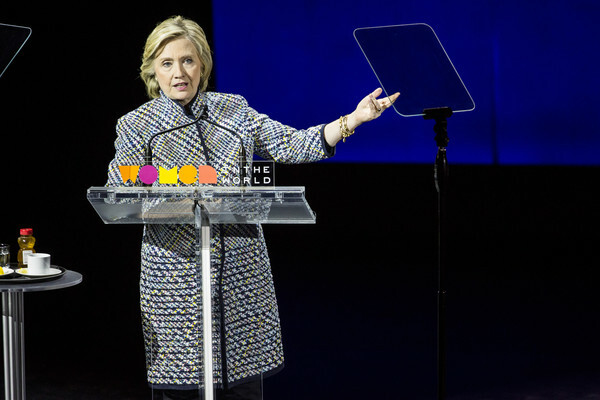 There were mixed reviews of her logo at the beginning. 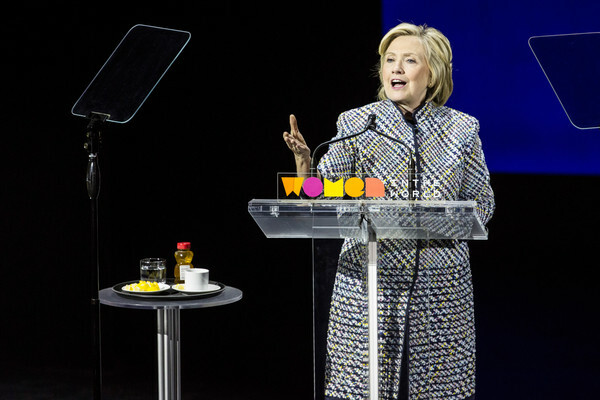 Since then, we have seen the genius of that H’s adaptability. 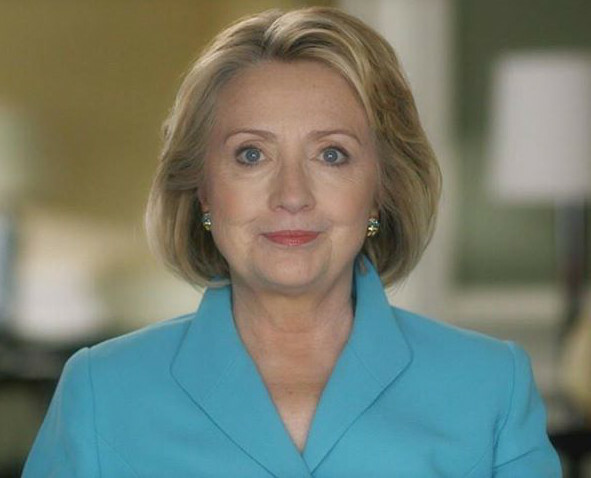 Here is my very intelligent cat for Hillary. 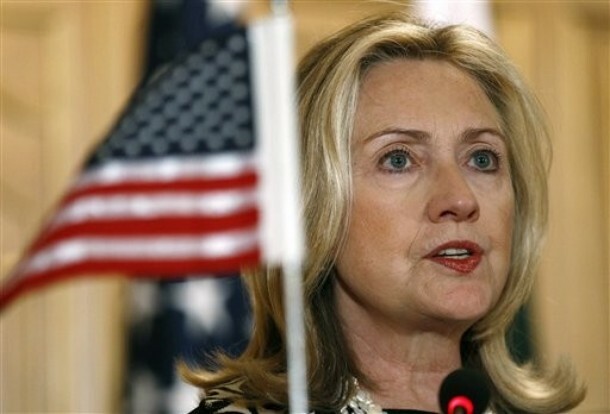 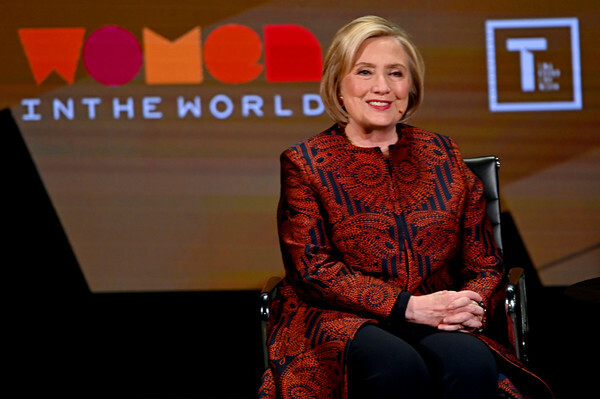 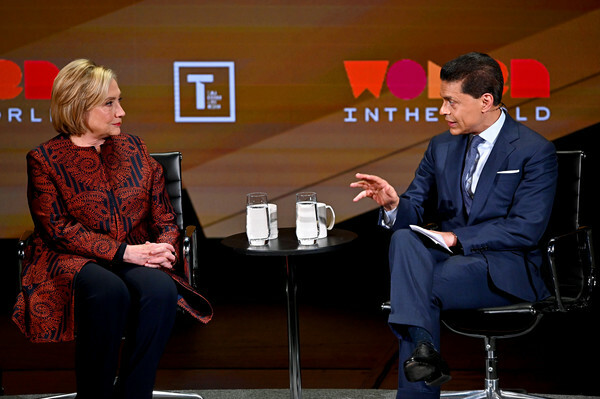 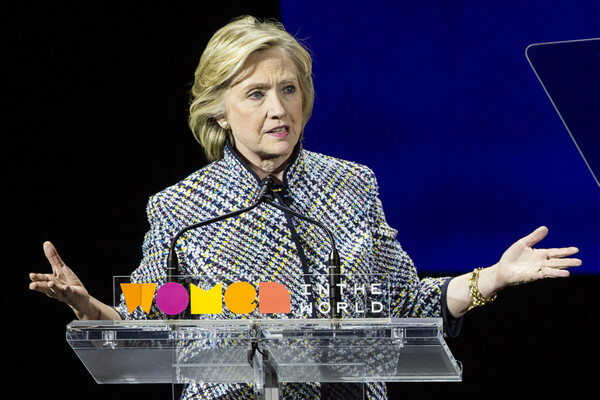 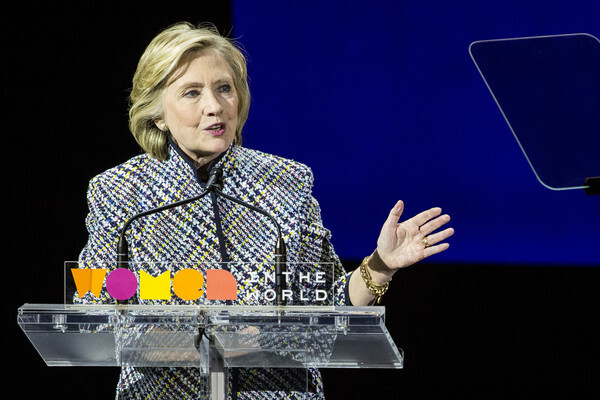 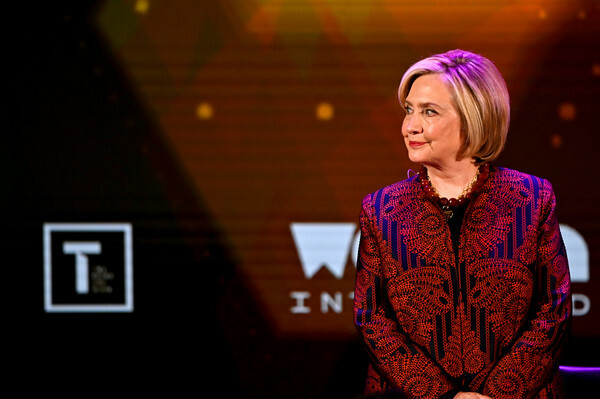 On April 15, Hillary announced her resignation from the Clinton Foundation. 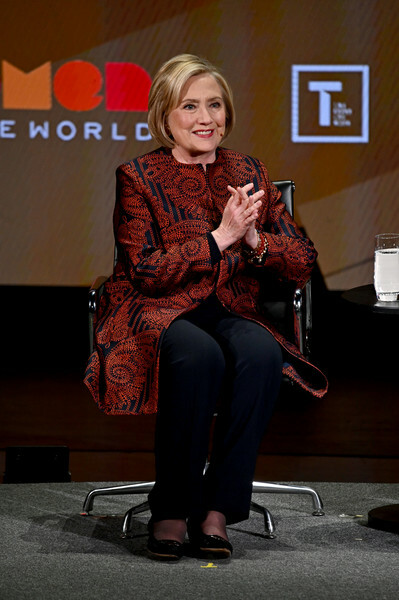 Time Magazine once again named her among the 100 most influential people. 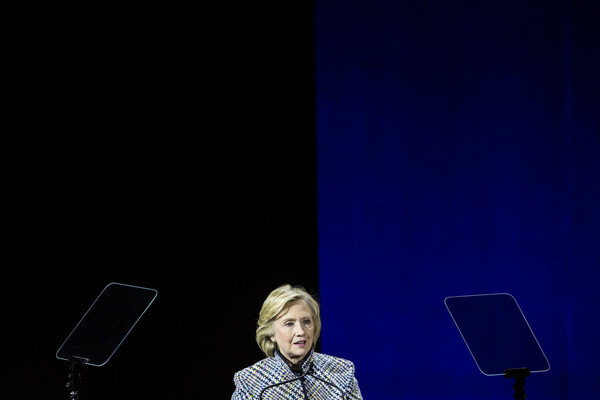 And the attacks from the Republicans began. 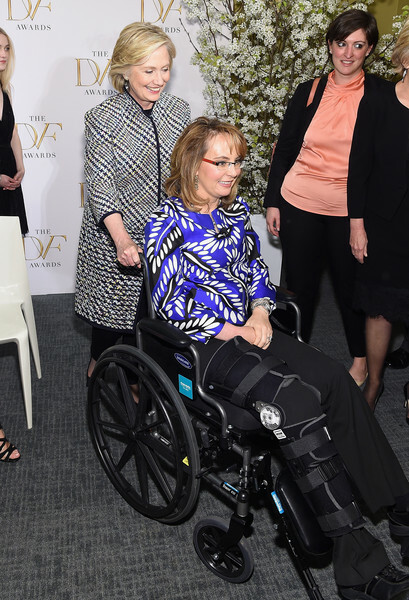 Carly Fiorina was the first to launch a shot over the bow. 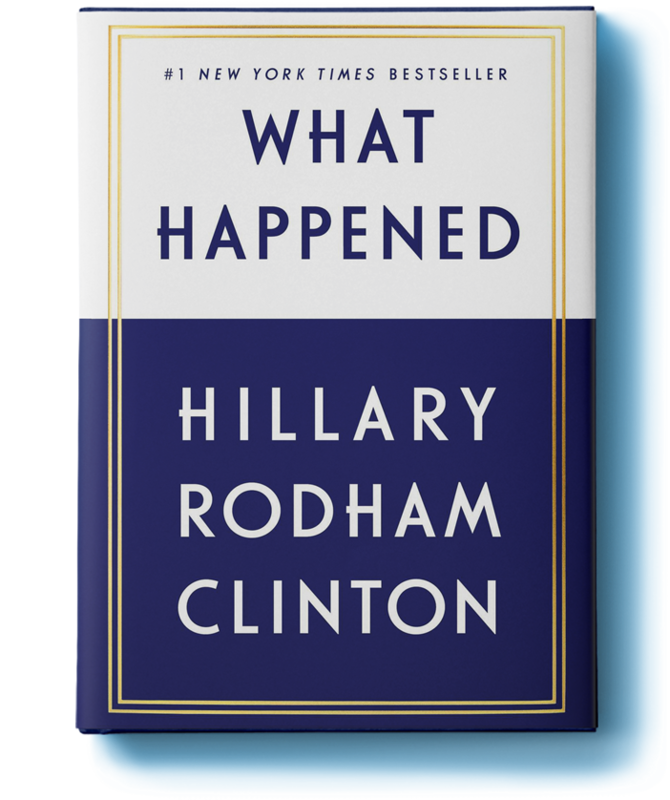 We retaliated here. 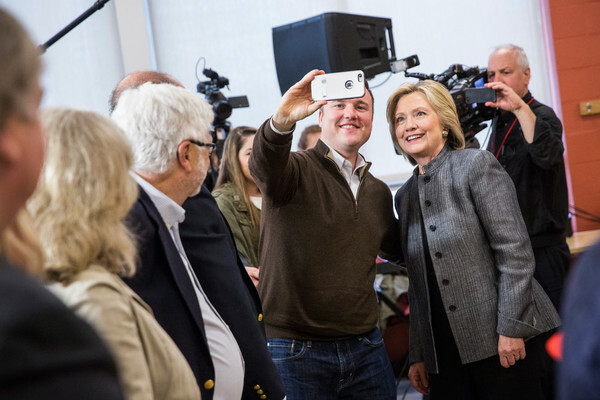 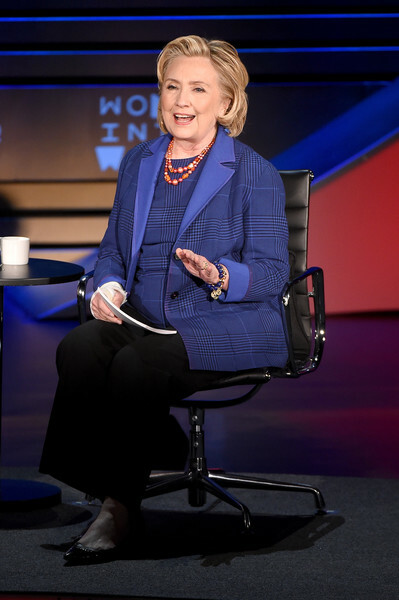 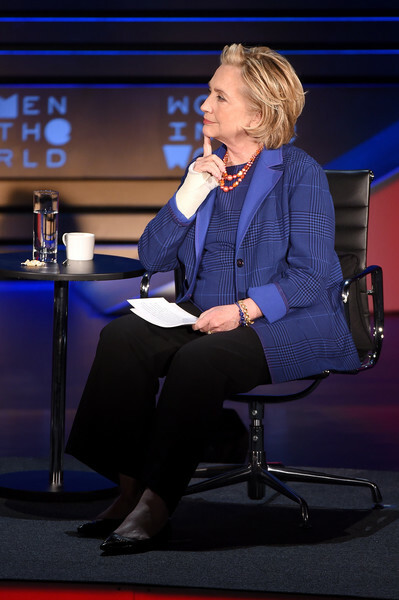 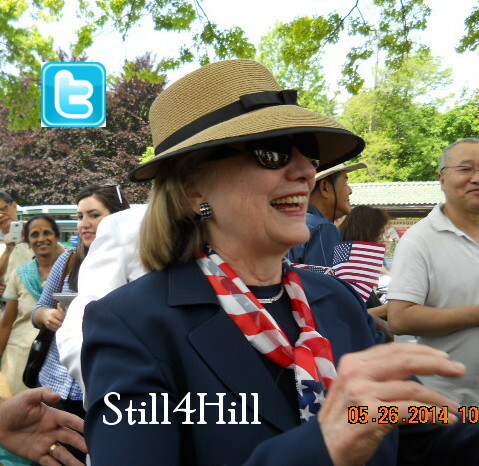 Hillary’s second week on the trail took her to New Hampshire. 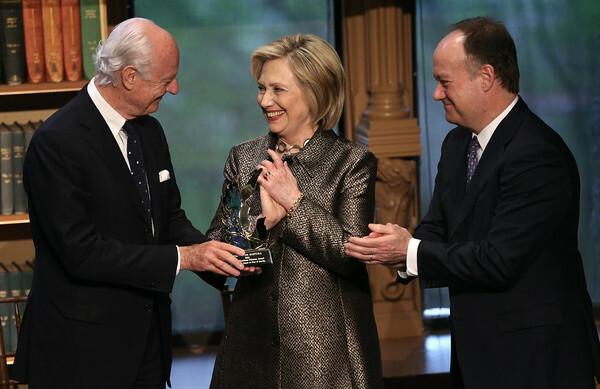 At Georgetown University she presented the Hillary Rodham Clinton Award for Advancing Women in Peace to former United Nations Envoy for Afghanistan Staffan de Mistura. 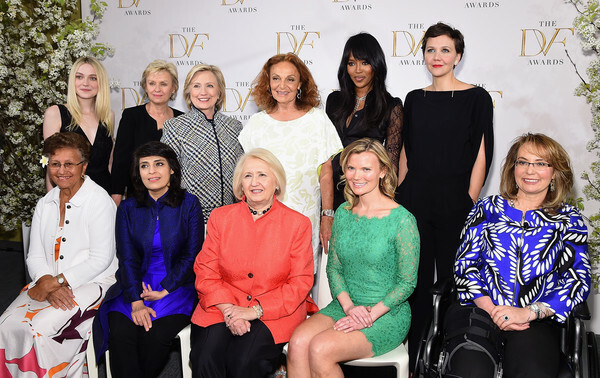 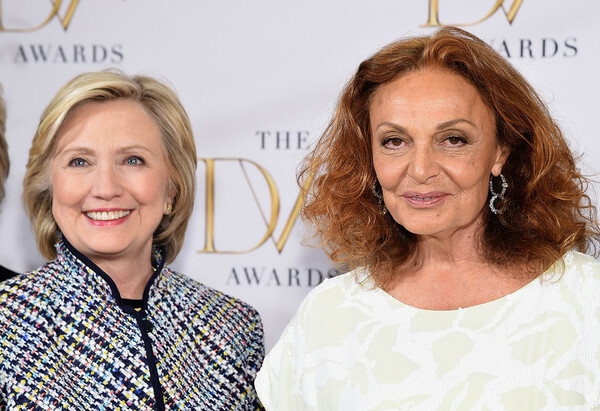 She participated in the Women in the World Summit and the Diane Von Furstenberg Awards. 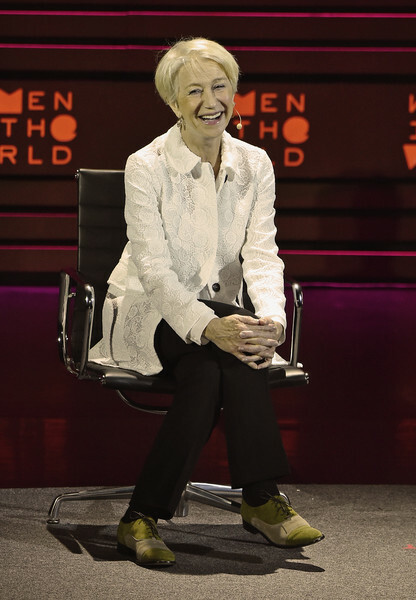 Bernard-Henri Levy published a wonderful tribute to her. 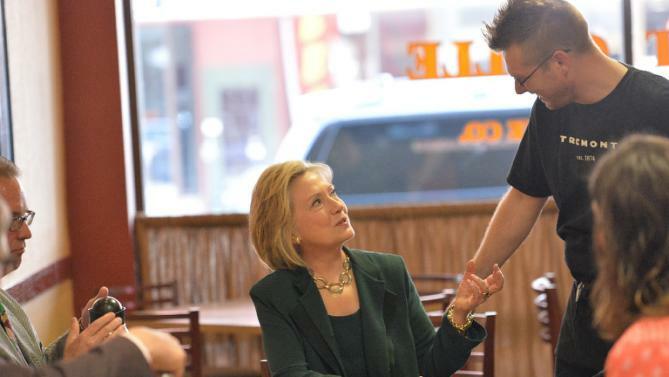 I am his longtime fan, and he is hers! 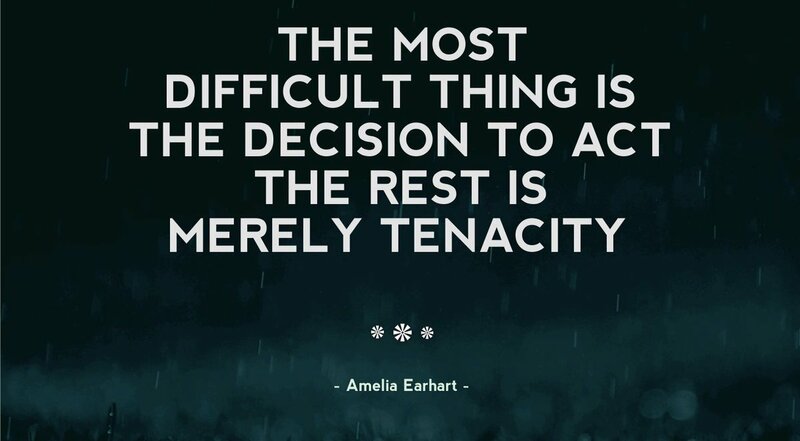 (One reason I like him so much.) 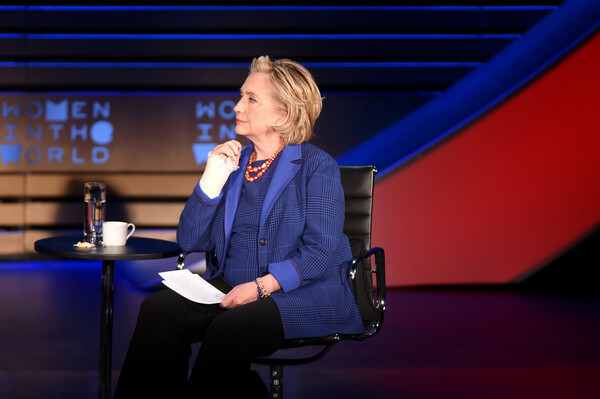 Martha Stewart said she is for “the lady that is running.” She made it clear that she was not referring to Fiorina. 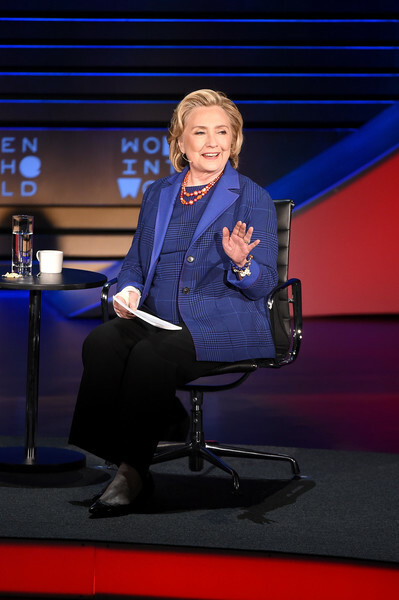 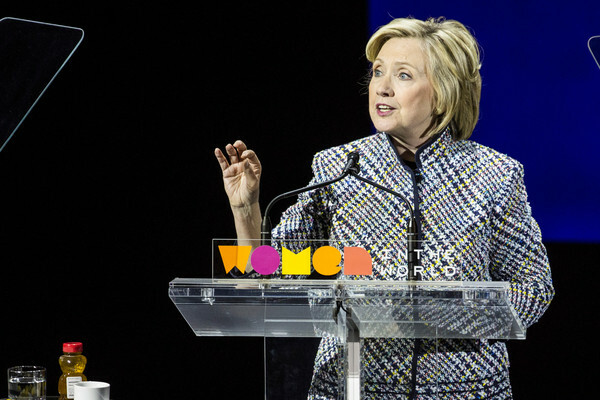 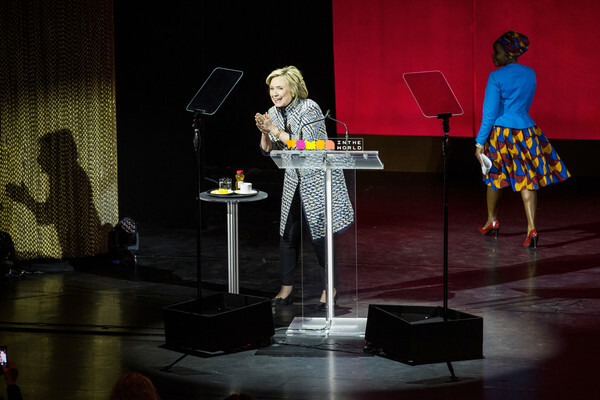 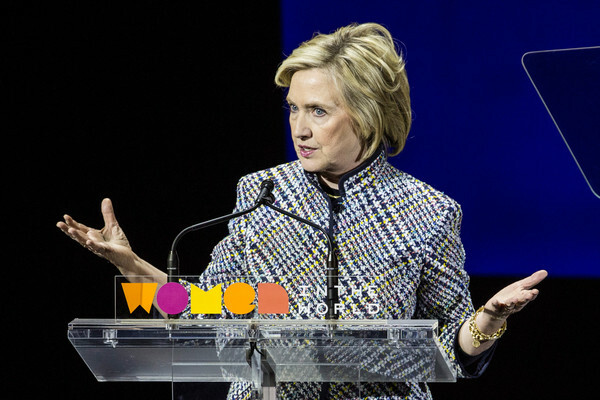 Hillary’s platform was coming together with equal pay, fair pay, college-affordability, women’s rights, and LGBT rights among the issues she addressed early and often. 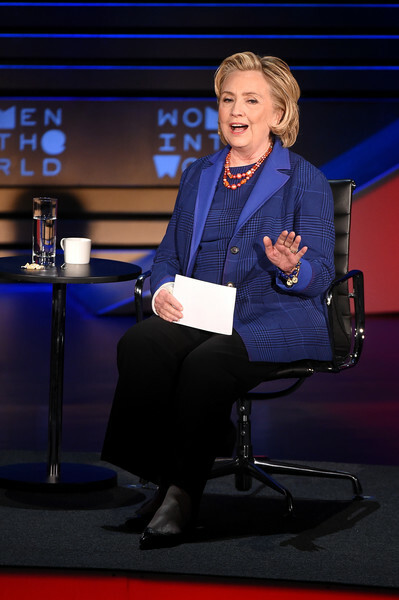 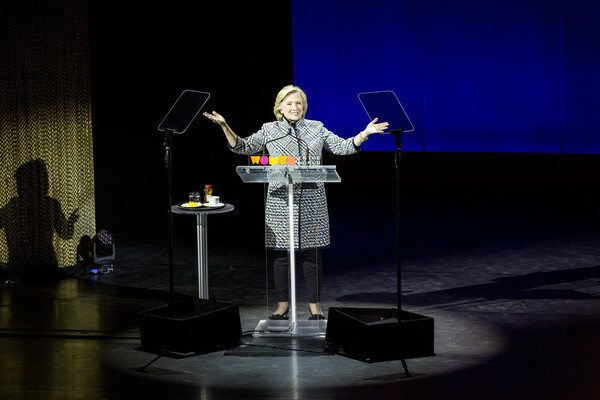 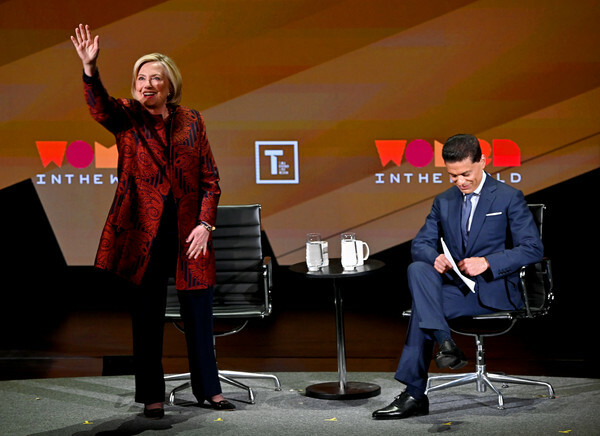 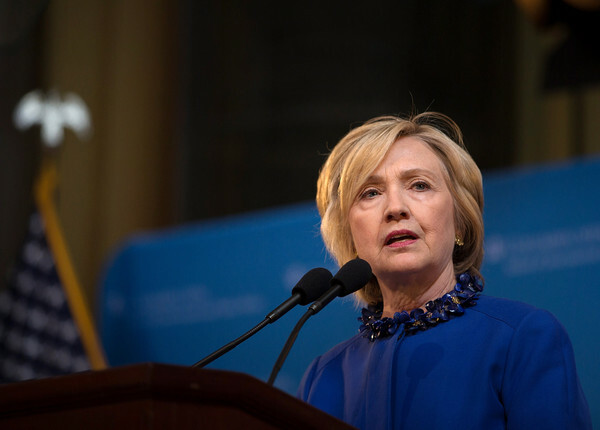 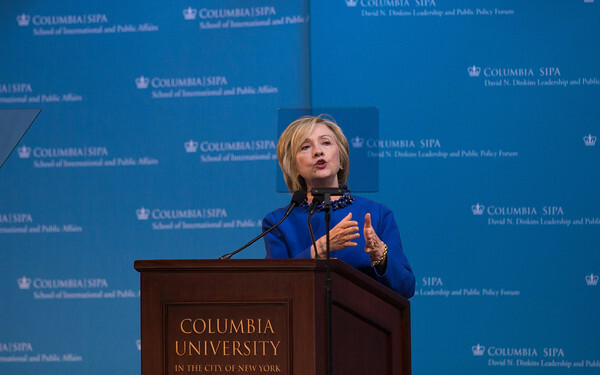 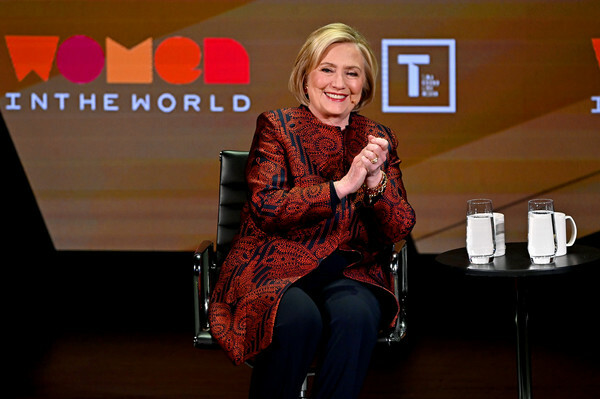 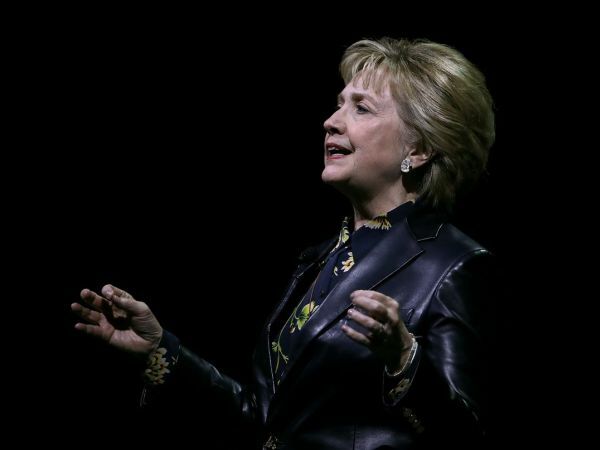 She addressed reform of the criminal justice system in a major speech at the David N. Dinkins Leadership and Public Policy Forum at Columbia University in late April. 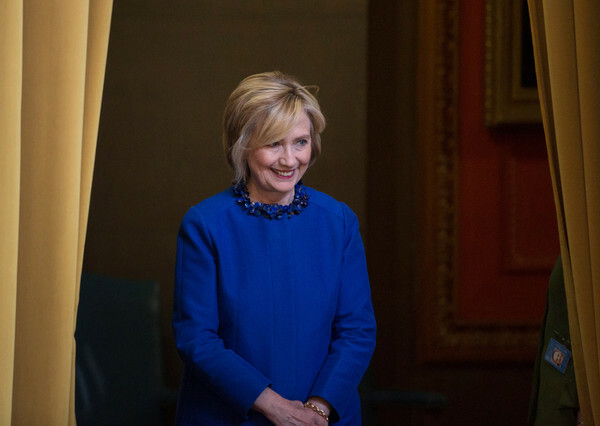 On the last day of April, she sent a tweet to welcome to Bernie Sanders to the race. 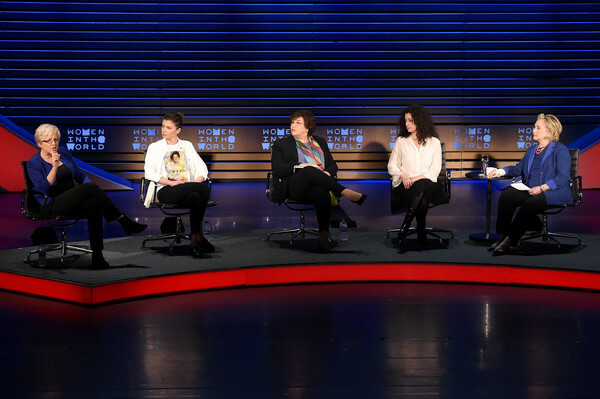 Lucky people who had tickets for today! 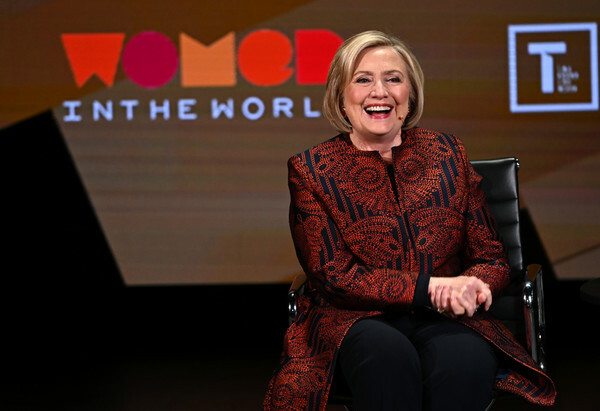 Hillary has been at almost every one of these summits. 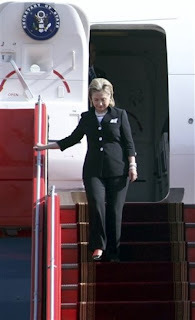 She missed one once when she was Secretary of State and traveling, but she has been at all the others. 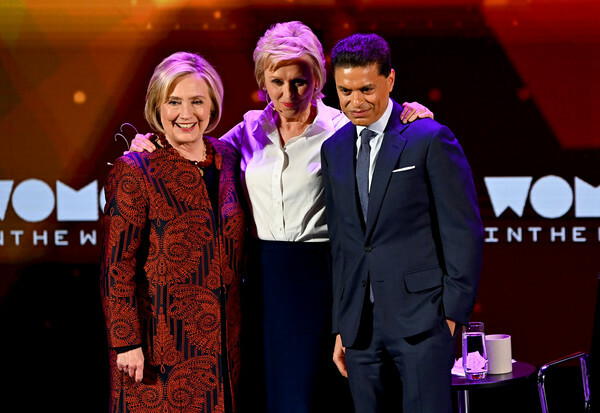 This time it was just a wee bit different because she was there not as cabinet member, nor as a private citizen, but as a presidential candidate. 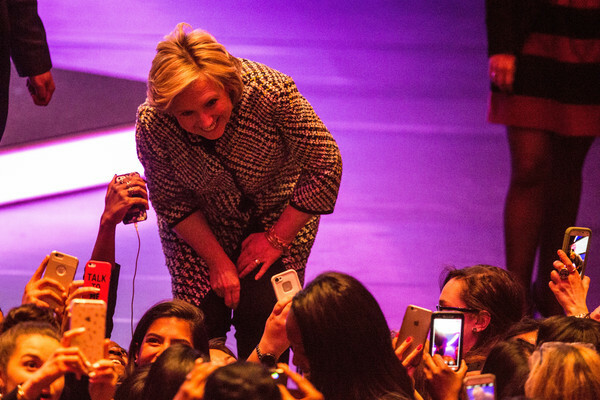 You can imagine the excitement in the hall. 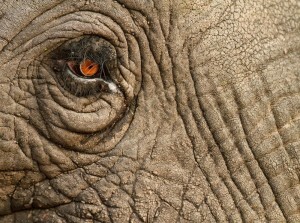 Well, you don’t have to imagine it! 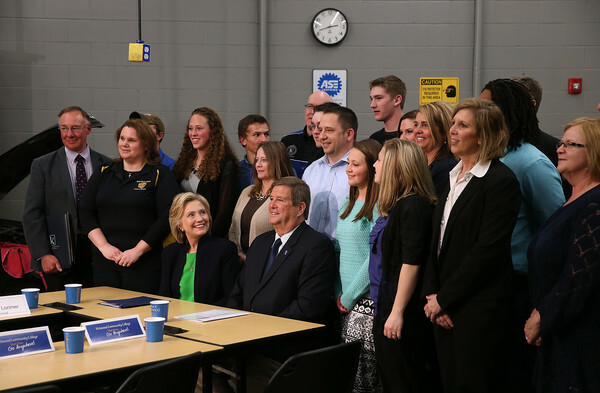 Here is the video! 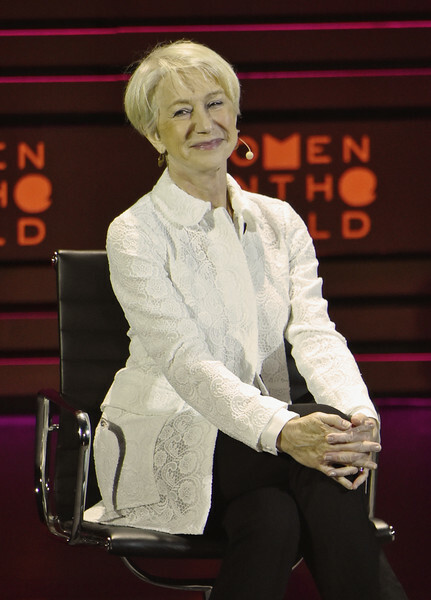 An added treat this year was the an appearance by Dame Helen Mirren, another of my very favorite human beings on earth. 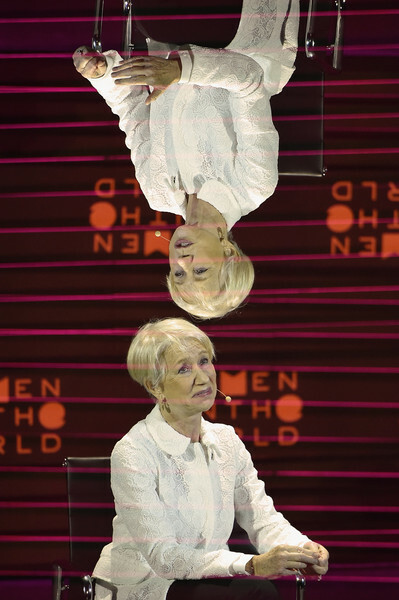 Dame Helen, who happens to be engaged in the Broadway production The Audience where she portrays Her Royal Highness, Queen Elizabeth II, participated in a conversation with Tina Brown and appears to have turned things a bit topsy-turvy! 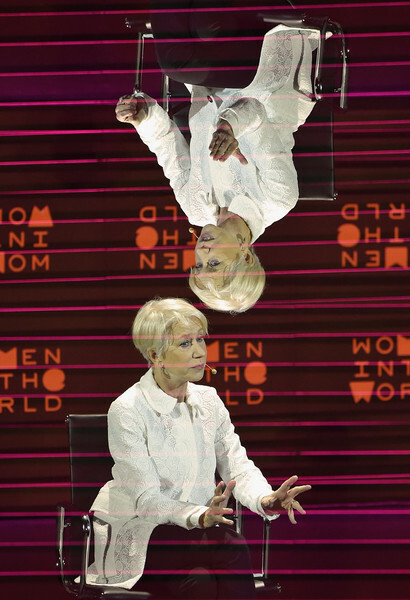 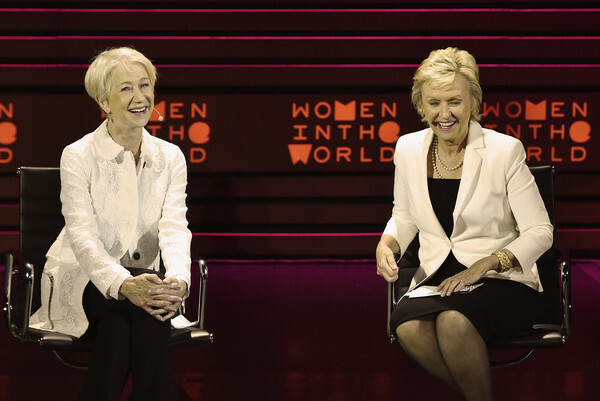 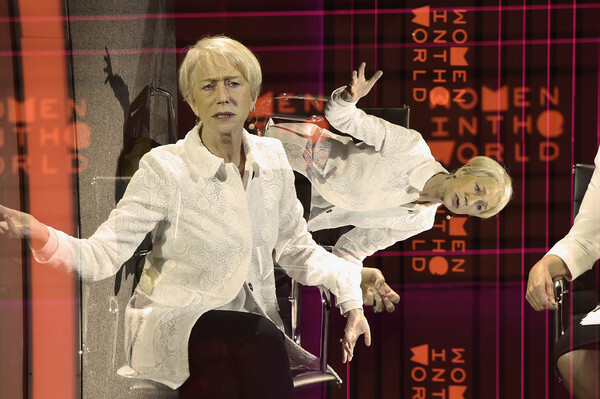 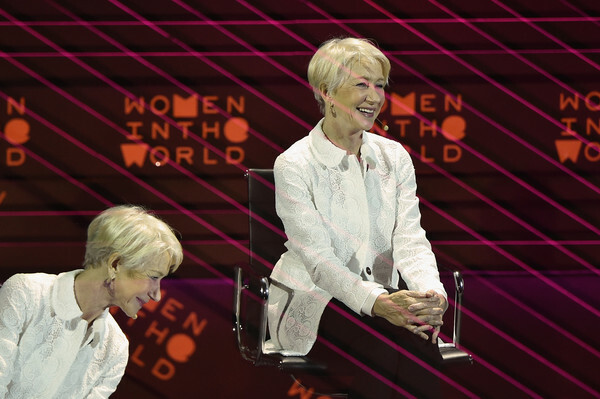 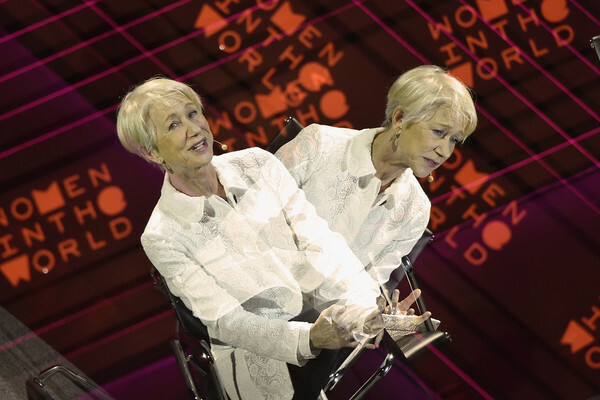 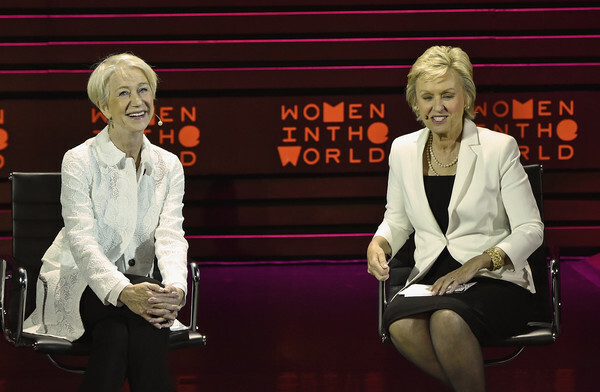 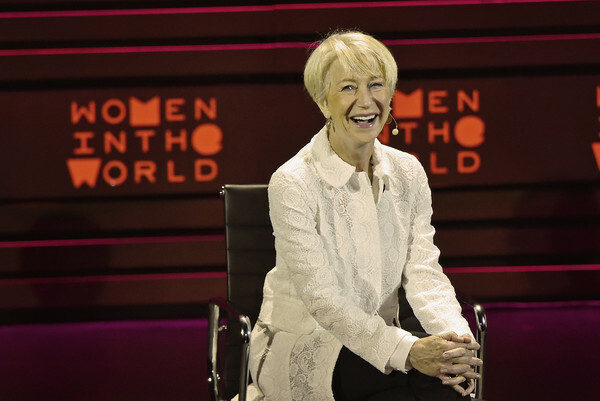 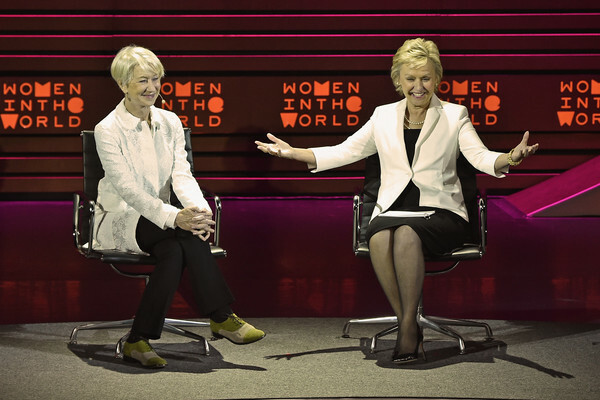 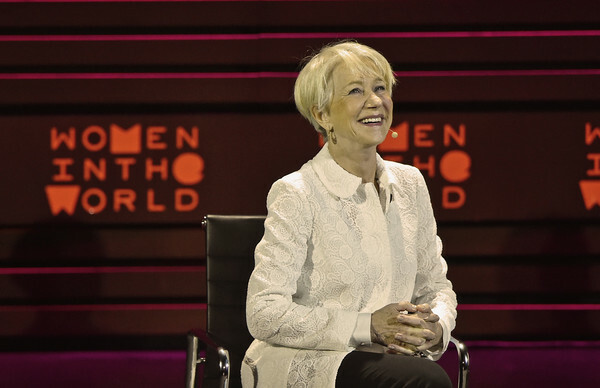 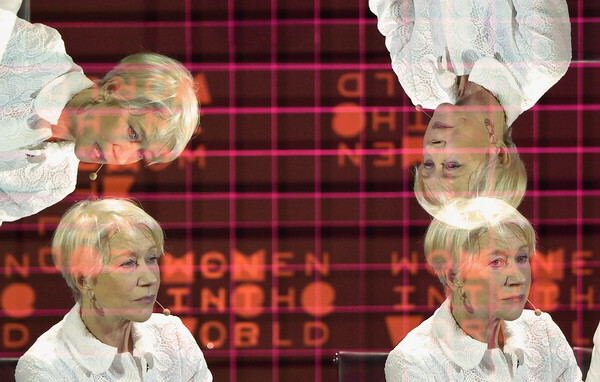 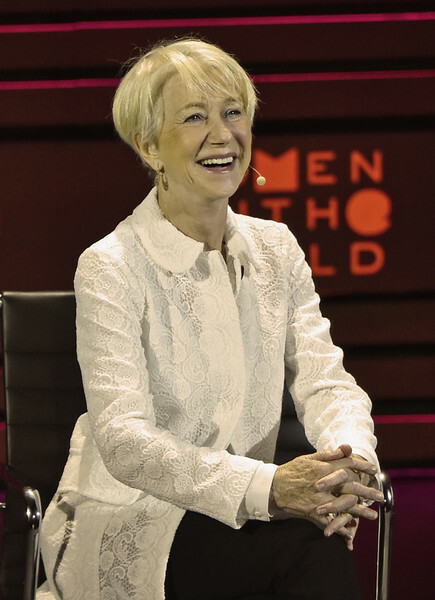 Dame Helen Mirren has an idea about how to get Hollywood to give women more substantive roles: “Change roles for women in life,” she suggested at the Women in the World Summit on Thursday afternoon in an interview with Tina Brown. 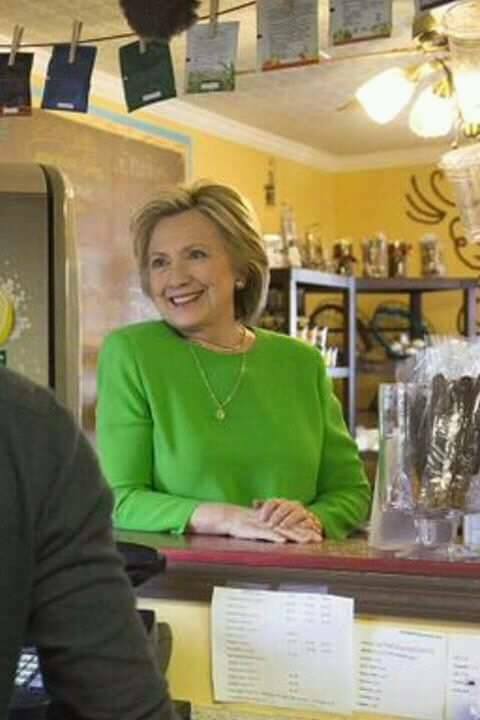 I believe this is the video they showed. 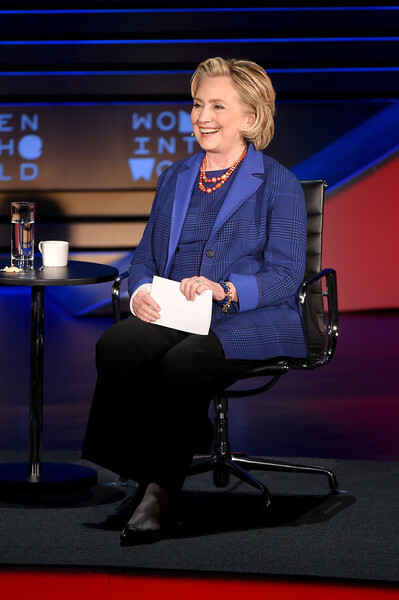 She had great control, poise and presence of mind even then.